This one's for rock music fiends of the cultural persuasion. Los Angeles nonprofit Writers Bloc presents a conversation between two behind-the-scenes music authorities, who have witnessed the world of rock and roll from the trenches. 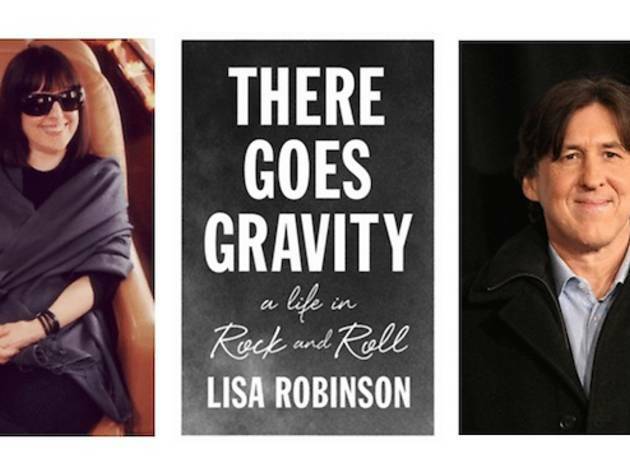 Over the past four decades, Vanity Fair journalist Lisa Robinson has penned the stories of everyone in rock history from John Lennon, Bono, Zeppelin and Patti Smith to Lady Gaga and Jay Z. Put her in the same room as screenwriter/director Cameron Crowe (of Almost Famous, Jerry Maguire and Fast Times at Ridgemont High fame), and you're in for a fascinating chat between two of today's most seasoned rock connoisseurs. Robinson and Crow will discuss their lives and careers, as well as Robinson's book, There Goes Gravity. Tickets to the event will run you $20, and are available online now.